One of the oldest types of folk art in Central Asia is the production of silk and woolen carpets. Domestic carpet weaving is developed in Fergana valley, Nurota, Kashkadarya, Surhandarya and Syrdarya regions. In Uzbekistan the carpet is a symbol of wealth and comfort. Carpet is the necessary gift in Uzbek wedding. The Uzbek carpets are long-pile, pileless and short-pile. In the centre of carpet weaving the sketches of ancient national patterns and Central Asian symbolism are carefully preserved. Khiva factory received a great popularity for carpet production. In modern conditions the factory expands the opportunities. Portrait carpets are made here, the tradition of which was known in the East in the early middle ages. Depending on the region, carpets are distinguished by color and ornaments. For example, Samarkand carpets have black, red and blue tones. Bukhara carpets are decorated by multicolored patterns. There are red and blue stripes on the carpets in Fergana valley. Khiva carpets are mostly made from plant patterns. 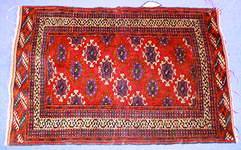 Carpet weaving has been known in Uzbekistan since ancient times. Expert recognizes immediately the carpets of Khiva, Samarkand, Kashkadarya or Surkhandarya. But the real glory of Uzbek carpets was created by Bukhara carpets. 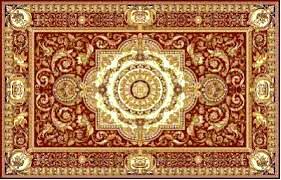 It was very expensive to buy carpet last century; therefore it was the luxurious decoration only in the apartments of rulers. Only the best wool of sheep is used for manufacture of Bukhara carpets. It is believed that carpets made of sheep wool are able to heal sickness and give good health. There are many legends about Bukhara carpets. Carpets with image of the sun, amulets and argali horns have magical meaning; they are also designed to protect its owner from harm and bring home good luck and prosperity. Having visited Uzbekistan, you can purchase one of these magnificent carpets which will serve you not only as a decoration but also provide comfort, filling your home good luck and prosperity.